Catch the Christmas spirit early this season with a couple of classic holiday movies. Here's a list of the 6 Christmas movies I watch every December--movies that never fail to put me in a festive mood. 1. 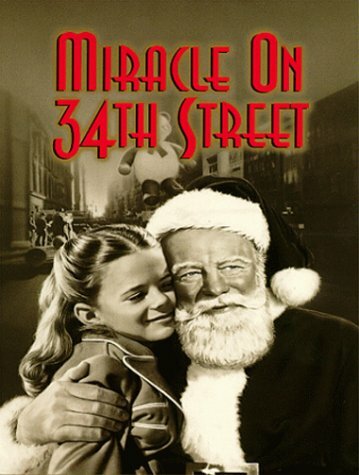 Miracle on 34th Street ... But it has to be the 1947 version starring Maureen O'Hara, Natalie Wood, John Payne and Edmund Gwenn. I love this movie...it definitely starts the holiday season off right. 4. Meet Me in St. Louis ... How can you resist hearing Judy Garland sing "Have Yourself a Merry Little Christmas"? It just wouldn't be Christmas without this movie. If you haven't ever seen this classic, definitely check it out this year! 6. White Christmas ... It may be last on my list, but it's certainly not least. 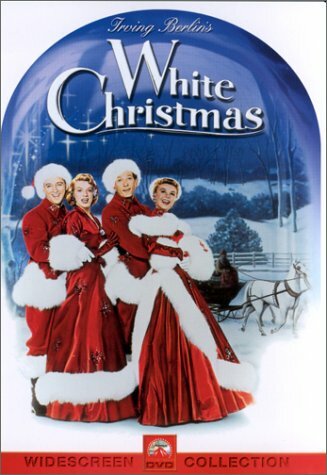 How could it be when it has Bing Crosby, Danny Kaye, Vera-Ellen and Rosemary Clooney in it? Plus, it has that epitome of Christmas songs: I'm Dreaming of a White Christmas. Nothing gets better than this. So, pop some popcorn, pop one of these movies in your DVD player, and get ready for it to feel a lot like Christmas! It is the season after all. And let me know what movies get you in the Christmas mood. What would your favorite fictional character give thanks for this Thanksgiving? Ever wondered? 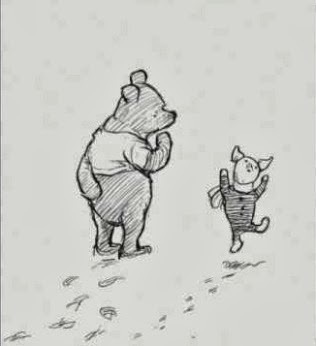 Winnie the Pooh would be thankful for a simple jar of honey. For Bilbo Baggins it would have to be second breakfasts and elevenses. I'm sure Elizabeth Bennett (and Mr. Darcy, too) would give thanks for second chances. And I think Harry Potter would give thanks for friends that feel more like family. I tried to imagine what Katniss Everdeen would be grateful for, but I honestly couldn't come up with a single thing. As for me? I am grateful for simple things like friends and family; bubble baths, snow plows, and Maui beaches; chocolate, Sunday morning comics, the cancer treatments that saved my sister's life, and The Church of Jesus Christ of Latter-day Saints; libraries, books to read, and at least 1,000 other things. A vaudeville actress. A missing heiress. And ten million dollars. 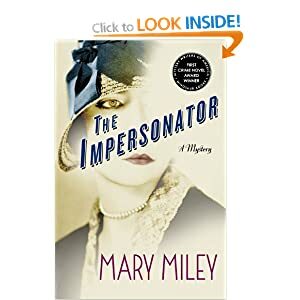 Mix in a little 1920s Prohibition and you have Mary Miley's delightful new mystery, The Impersonator. This book had me hooked from page one. Think about it. If you had the chance to become someone else...someone who's been missing and presumed dead for seven years...someone who looks just like you...would you do it? Would you change your mind if there were ten million dollars on the line? Enter Leah Randall, who's been performing in vaudeville her whole life but who suddenly finds herself jobless and on the way to becoming penniless, too. She has one job offer. To play Oliver Beckett's missing niece, Jessie Carr, heiress to a fortune. Consummate performer that she is, Leah agrees. "To be sure, masquerading as an heiress would be tricky. I'd been impersonating people all my life, but this was a tougher gig than any I'd ever had, being on stage every waking minute. 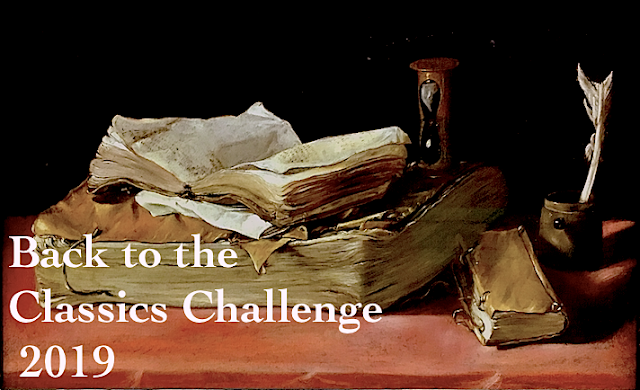 The challenge roused me from the melancholy that had held me down for weeks. I could do this." "Tuesday, August 19, 1924. opening day for The Return of Jessie Carr, a sensitive drama about a young woman's return to the bosom of her family after years as a vaudeville sensation. The curtain was about to rise on the role of a lifetime...I looked the part. For the first time in my life, I was the headliner." What she doesn't realize is that not everyone is happy about Jessie's sudden reappearance. Certainly not her two male cousins. Or the person who had a hand in Jessie's mysterious disappearance in the first place. Leah's "role of a lifetime" must might turn out to be her last. If you like well-written, fast-paced and fun mysteries, then this book is a definite must-read! I picked this book up at a library book sale for 50 cents in April and it's been sitting on my shelf ever since. But not any more. I finished it two days ago, happily checked it off my To-Be-Read List, and am looking forward to drawing a new title from my Book Jar next month. 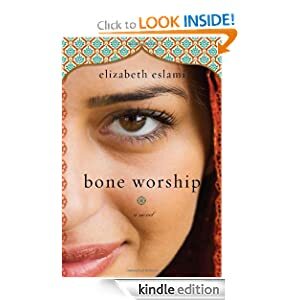 Bone Worship tells the story of Jasmine Fahroodhi, a half-Iranian, half-American college student who's one quarter away from graduating when she flunks out; and her enigmatic Iranian father, Yusef, with whom she has never been able to connect. Having failed out of school, I'm due back home. To find a job, and, my father says, to find a husband. "Is the way it happens," he says. "Your hastegar," your marriage. A husband he will find for me in a year's time. An arrangement, neat and clean as pressed silk. An old world hastegar, or arranged marriage, is not what Jasmine wants, but how can she explain that to her father when they never really talk? And, sadly, it's not like she has a better plan for her life. So, she goes along with his plan...even though she's determined not to marry any man her father chooses for her. 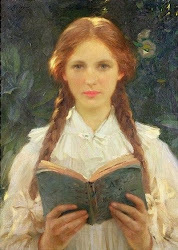 While I liked this story, I don't plan on keeping the book. Jasmine's relationship with her father, or lack thereof, is poignant, frustrating, and sad. But Jasmine's story is not without hope and a happy ending. I'm glad I didn't pay full price for this book, but it was definitely 50 cents well spent! 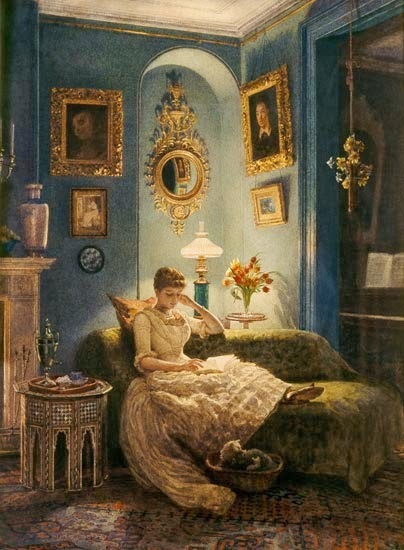 The Setting: London, 1889. (But this Victorian London is one where electricity has been prohibited and steam engines rule. The Characters: Mina Holmes, Sherlock Holmes' intelligent niece, and Evaline Stoker, Bram Stoker's sister and vampire hunter extraordinaire. First Line: There are a limited number of excuses for a young, intelligent woman of seventeen to be traversing the fog-shrouded streets of London at midnight. A matter of protecting one's life or preventing another's death are two obvious ones. The Clockwork Scarab by Colleen Gleason is an engaging steampunk mystery. 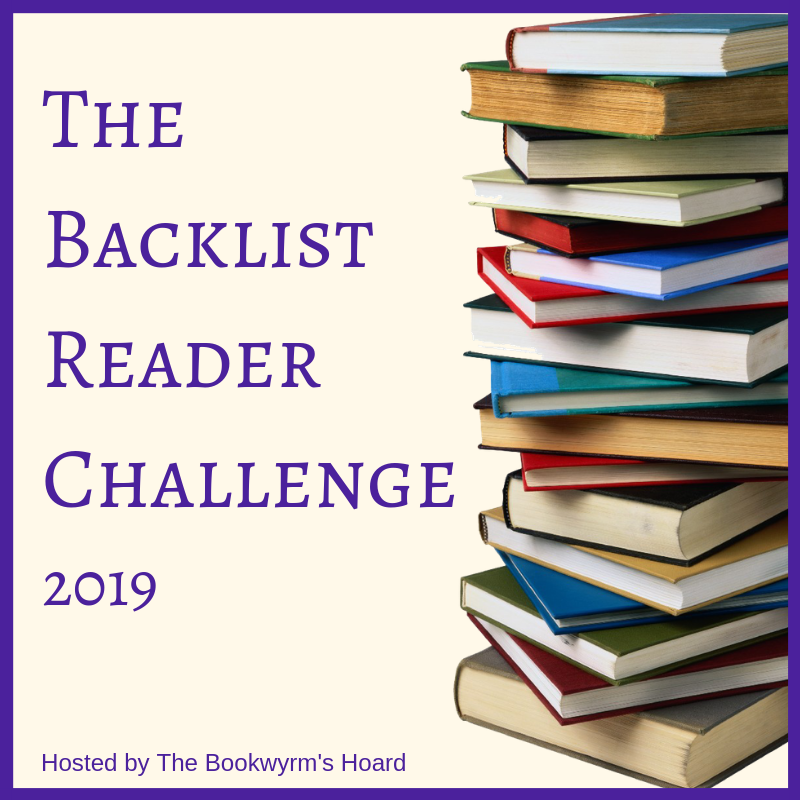 I liked the contrast between the two main characters: Mina is bookish, brainy, and keenly observant while Evaline is more action-oriented and adventurous; she also has inherited her family's supernatural vampire-hunting abilities. The fact that they don't particularly like each other makes it even more fun. The mystery itself is intriguing. Mina and Evaline (along with a cute Scotland yard detective named Ambrose Grayling) are investigating the deaths of three young society girls. In the process they stumble upon a secret society revolving around Sekhmet, the Egyptian Goddess of Death, and two mysterious young men with secrets of their own. 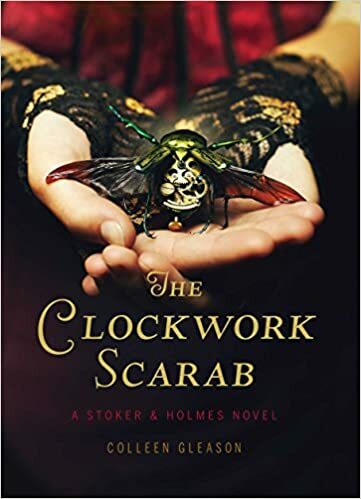 I admit I'm a fan of steampunk and I liked the steampunk aspects in this novel, too, from steam cycles, to flying firefly lanterns, to the clockwork scarabs that are found beside each one of the dead girls. Want a fun and inventive steampunk novel? Gleason's YA novel won't disappoint. "Tell folks that you're making a grand tour of polluted places, and they tend to get excited. A surprising number of people say they want to come along, and, although this turns out to be mostly talk, it's gratifying to know the market is there. Most of all, people want to know about the list. How am I choosing my destinations?" "My mission was to find the world's most polluted places...Only if I found those ecosystems of despair would I be able to implement my conceit of contrarian ecotourism and compose my great elegy for the pre-human world. But instead of finding degraded ecosystems that I could treat as though they were beautiful, I was just finding beauty. The Earth had gotten there first. I went looking for a radioactive wasteland and found a radioactive garden. I went looking for the Pacific Garbage Patch and found the Pacific Ocean." I love books that take me to new places and this book certainly did that! 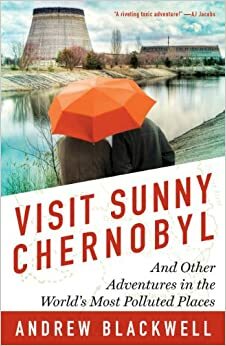 It even got me thinking I just might want to make a trip to Chernobyl myself one day. I hear it's lovely this time of year. Just don't forget to pack your own Geiger counter; Blackwell says they're very hard to find in Kiev. 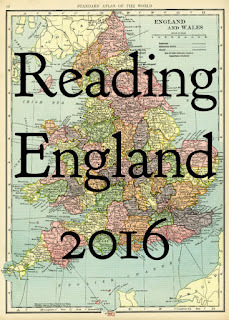 Check out Bookish Travel for other great travel adventures. Shin is raised without love or compassion. His first memory is of an execution. There is no one in the camp that he can trust; to snitch on other prisoners is to live. He grows up chronically malnourished. The punishments he receives are terrible. When he is 14, his mother and older brother are arrested and executed for attempting to escape. Shin and his father are punished for their mistake. Then, on January 2, 2005, Shin escapes Camp 14--the only person alive to do so. His escape is not driven by thoughts of freedom, or fear of punishment, but the dream of "one day getting out of the camp and eating whatever he wanted. Freedom, in Shin's mind, was just another word for grilled meat...He ached for a world where an insignificant person like himself could walk into a restaurant and fill his stomach with rice and meat." 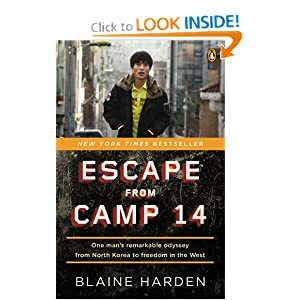 Shin survives and finds a new life for himself in South Korea and America, but thousands of North Koreans just like Shin remain imprisoned in inhumane camps across North Korea. And that's the most heartbreaking part of this story--that these atrocities are still going on today and the rest of the world does nothing to stop it. This is a moving and powerful story, one I won't soon forget.